The West Orange Chamber keeps you up to date on the local news and views that affect you and your business. 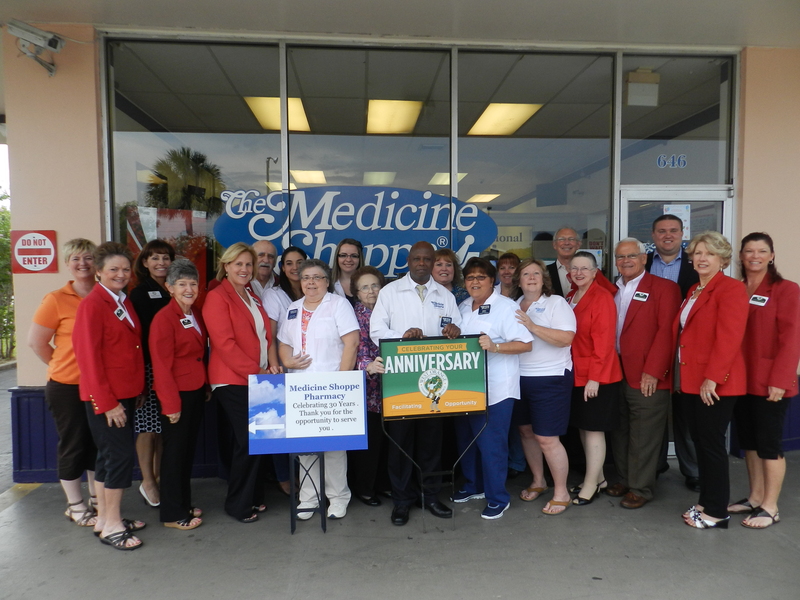 As in any election year, there is a great deal of political fervor in the air, both locally and nationally, and the West Orange Chamber (WOCC) is right in the middle of it all. Beginning with our 2014 Legislative Position Paper, to our luncheon later on this month, and then onto our Political Hob Nob & Straw Poll in July, we are part of the political process by being advocates for a healthy, thriving business climate. The WOCC is proud to report that after this legislative session and with the signing of the state’s budget, West Orange County and our Central Florida area fared well. In the category of Economic Development, Visit Florida, the official tourism marketing corporation for the state of FL received funding to help adequately support promotion of Florida as the destination business leader. In addition, the National Entrepreneur Center, the local small business resource center, also received requested funding to help support our local small business owners grow their business. 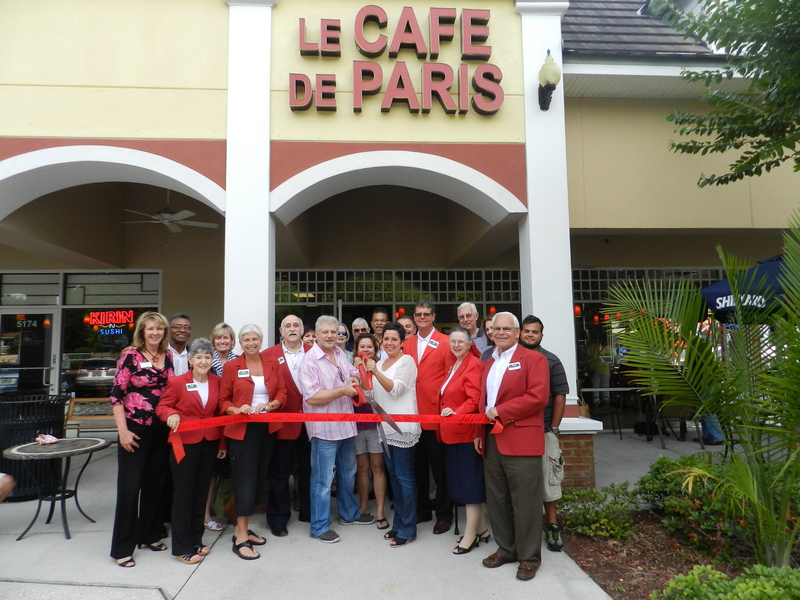 This year, many Infrastructure Projects were passed that will help our West Orange Community. The Town of Oakland received $250,000 for the design and construction for a Wastewater Collection System. This will help to bolster economic development and relieve the environment of septic tank pollution. The expansion of State Road 50 from SR 429 to just east of the West Oaks Mall also received funding in this year’s legislative session. Another Infrastructure Project approved was the “Coast to Coast Connector”, a multi-use trail system that would stretch across the state from St. Petersburg to Titusville. This connector will open the door to the development of Ecotourism in our local economies throughout the State and West Orange County. Other items that the WOCC supported and were passed by the legislature include, the approval of $8 million in funding to the University of Central Florida to begin site planning, land acquisition as part of a three year project related to protection of the Central Florida modeling & simulation cluster. Also, healthcare funding was held level and the major threat to our local hospitals was averted when the federal and state governments reached agreement on an extension of the present funding model for the Low Income Pool program. As the last few paragraphs demonstrate, what happens in Tallahassee very much affects what happens to us here in West Orange County. The WOCC staff has taken the opportunity to highlight this more at our upcoming Luncheon, “The Legislative Road to West Orange Prosperity”. This luncheon will highlight how the figurative distance between West Orange County and Tallahassee gets shorter and shorter each day. At the event, both state legislators and local Municipal Representatives will take the stage together as a panel. Our Guest Moderator, Fred Kittinger, Associate Vice President of University Relations and Director of State and Local Government Affairs at the University of Central Florida, will lead the panelists through a lively conversation that will highlight what happens in Tallahassee affects us here in our own backyard. Our invited guest panel includes, Orange County Mayor Teresa Jacobs, City of Orlando Commissioner Sam Ings, Town of Oakland Commissioner Joseph McMullen, Windermere Mayor Gary Bruhn, City of Winter Garden Commissioner Bobby Olszewski, Representatives Eric Eisnaugle, Senators Kelli Stargel & Geraldine Thompson. Sponsors of the luncheon include, Luncheon Series Sponsor Florida Hospital, in partnership with the University of Central Florida, Walt Disney World Resorts and CenturyLink. Be sure to get your tickets soon, this event is anticipated to sell out. 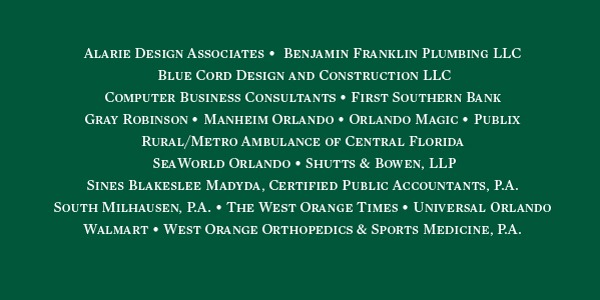 Sponsors of the luncheon include, Luncheon Series Sponsor Florida Hospital, in partnership with the University of Central Florida, Walt Disney World Resorts, CenturyLink, The West Orange Times and Valencia College. Be sure to get your tickets soon, this event is anticipated to sell out. To register online click here or contact the Chamber office at kcarney@wochamber.com or 407-656-1304 ext. 4. $1 from each ticket sold will be contributed to the West Orange Chamber/ Danniel J. Petro Scholarship Fund. All reservations and or cancellations must be made by Friday, June 19. Certificates will be presented to the 2014 Leadership West Orange Graduates, sponsored by Florida Hospital. 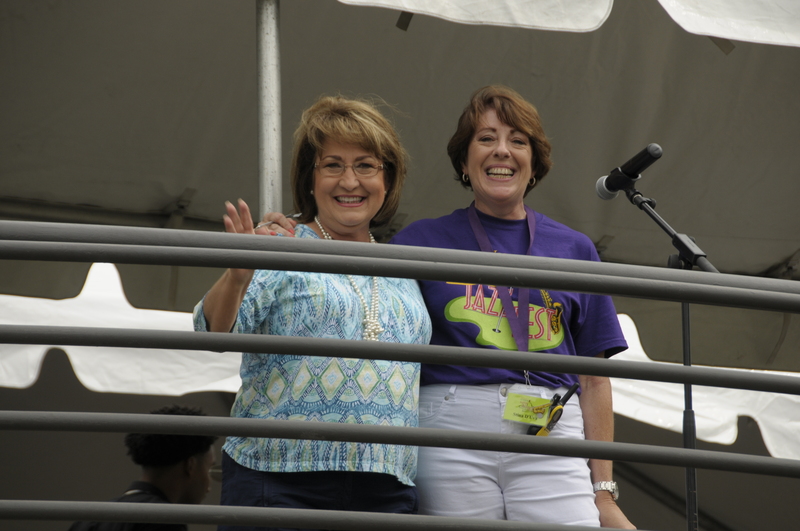 Orange County Mayor Teresa Jacobs with Stina D’Uva, Chairman of JazzFest, MetroWest’s first annual community-wide musical event on Sunday, June 1st. 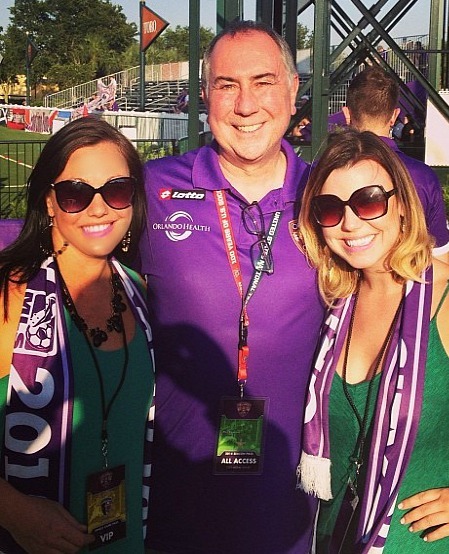 Carrie Wilson, WOCC Director of Events and Kelly Carney, WOCC Events Coordinator enjoyed meeting Phil Rawlins, Owner of Orlando City Soccer at a recent game held at the Disney Wide World of Sports. 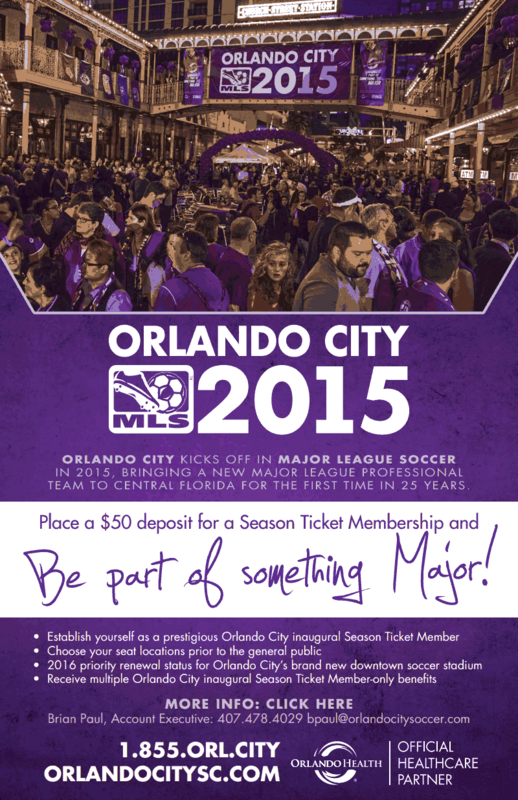 Orlando City Soccer is an Elite member of the West Orange Chamber of Commerce. If you are interested in Season Tickets, click here. The Small Business Owner’s Retirement Dilemma…You’ve poured a lifetime of sweat, time, and capital into building your business. You’ve begun thinking about retirement, and your strategy is to sell your company for a good price, settle back, and enjoy a financially secure retirement. But, like many business owners, you've made the mistake of assuming this scenario will happen...click here to read more. The Winter Garden Squeeze has begun to embark on their inaugural season with the Florida Collegiate Summer League (FCSL). The Squeeze did a wonderful job filling their baseball roster with highly talented college players from across the country. Click here to read more. Taylor Morrison closes on 107 acres. Land to be used for Two New Residential Communities , click here to read more. 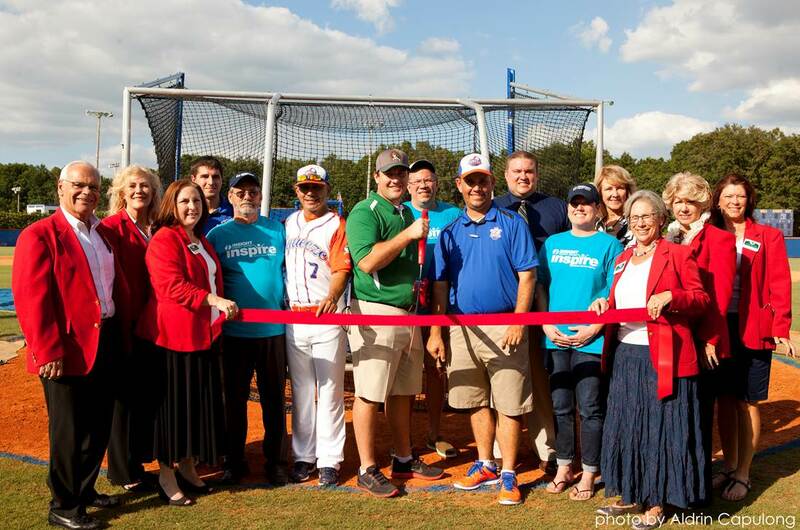 Orange County Commissioner Scott Boyd and his staff are ready for summer, click here to read the District 1 Newsletter. Are you a Subject Matter Expert and Professional Presenter on developing “Elevator Speeches”? Are you willing to share your knowledge with fellow Chamber members? If you answered YES to both of these questions, please contact malley@wochamber.com to get more information. If you are not a Subject Matter Expert and/or Professional Presenter, don’t worry, you still can be a part of the great event. To find out more about being the Session Sponsor, please contact malley@wochamber.com. Every month throughout 2014, we will feature a list of specific keywords that you can search in our Business Directory to help shop for specific items and services. The keywords will change each month and will be geared specifically towards that month's holidays, events or season. Just copy and paste any of the following keywords into our Business Directory to see a list of Member businesses that can fill that need. Remember, you can always access our mobile business directory on your smartphone or tablet. One of the benefits of Chamber Membership is promoting open job positions via the Chamber's website, e-publication and social channels. Click here to view all of the available positions. 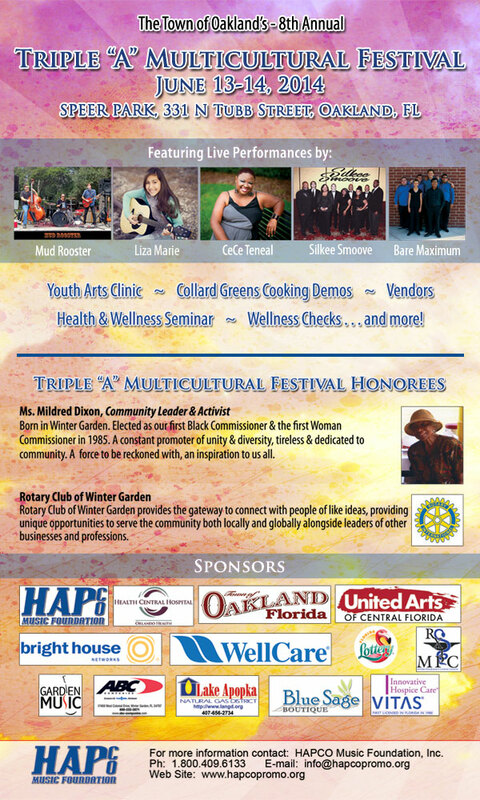 The Town of Oakland's 8th Annual Triple "A" Multicultural Festival, click here for more information. Source Family Chiropractic Kids Extravaganza, click here for more information. Logan's Roadhouse supports the American Cancer Society on the 1st Monday of Every Month. Click here to learn how you can participate. 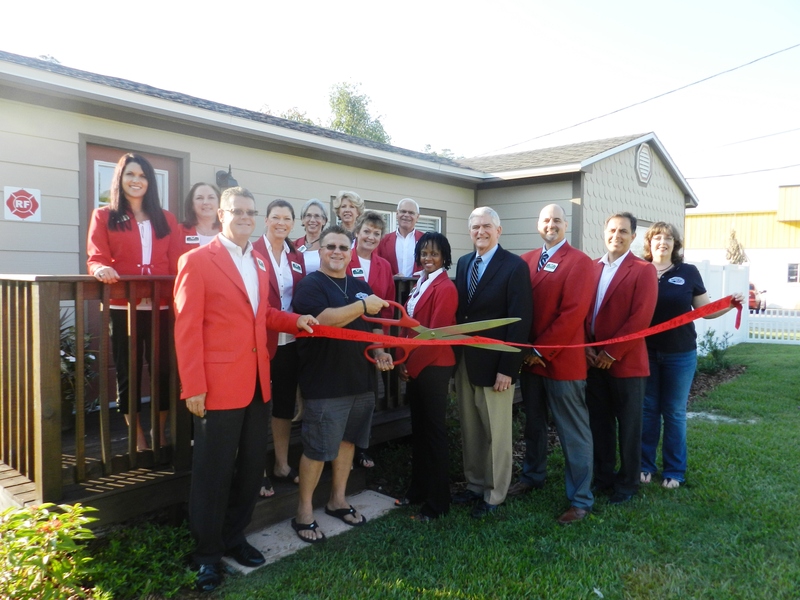 Logan's Roadhouse supports other local charities, to learn more, click here. 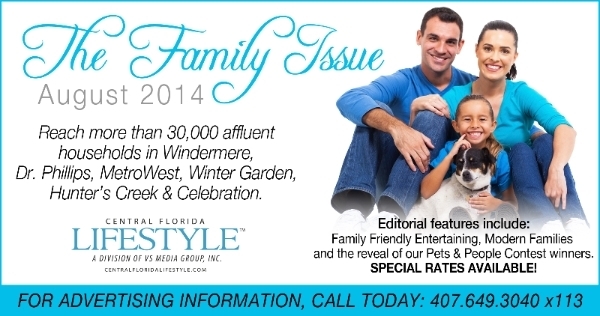 Winter Garden is gearing up for their Annual Party in the Park on the 4th of July, click here for more information.